Connecting two guitars and two mics to a Roland Cube Street? I know that this question isn’t really appropriate to the Audiobus forum, but I got such great help here on a similar topic (https://forum.audiob.us/discussion/30976/easiest-setup-to-loop-both-guitar-and-mic-separately-to-old-ipad-2#latest) that I dare to ask you guys once again. I hope this is okay. I have a Roland Cube Street for busking on the streets. It has a 1/4“ XLR mic input (with phantom power, at least I guess this as my mic works perfectly with it, while it is hardly hearable when using it with my iRig 2), a 1/4“ guitar input, and a 1/8“ aux input. While mic and guitar both can be controlled using volume and/or gain knobs, the aux can’t be controlled in any way (except from its source, like a connected iPad). While this is great for solo performances, it doesn’t allow me to busk together with a friend: although we managed to connect a second guitar through the aux input (by using an iPad with an iRig 2), we couldn’t connect a second mic. As explained in the other topic (see link above), I want to use a looping app on my iPad to loop both a guitar and my voice, so I need an input interface for my iPad. I’m thinking that the Zoom U-24 could be the right choice for me (or an iRig Pro Duo). Here’s my question: am I right when assuming that together with the Zoom U-24 I will be able to connect 2 guitars AND 2 mics to the Roland Cube Street? So a guitar and a mic directly to the Cube, and another guitar and mic through the Zoom and iPad to the aux in? Thanks a lot for helping me, I truly appreciate it, as I have no clue and while traveling around as a backpacker/busker, it’s hard to find a quiet spot to take care of all this. PS: and will the aux input be loud enough compared to the dedicated guitar and mic inputs? Afaik, this is fully dependent of its source, which would be the Zoom U-24 (or iRig Pro Duo)... so would this interface provide considerable output volume? Re: volume levels, the easiest way to check is just with a jack to jack from your iPad, and see if music playing from that will compete with the sound of a guitar playing. I have a 1/8“ cable and a 1/8“ to 1/4“ adapter. Is this what you mean? I‘m happy to buy Audiobus. I hope it works on iOS 9. You mean for the U-24? It should last for 4h with 2 AA batteries. I’m usually not busking for much longer a day. Doesn’t the U-24 generate more volume than an iPad? I have a Roland Cube RX and, for me, the iPad is plenty loud when plugged into the Aux jack. Make sure your app outputs are suitably high too, as if the apps or host is not full volume it limits the signal coming out of the iPad. I suggest trying to monitor your friend directly from the U-24, if you can. If you monitor your friend going into the iPad and out again, latency could cause some issues. I would consider getting a small, mobile mixer. Plug you and your friend into that. Send its output to the monitor directly for no latency. Or if the mixer is too limited, send its output through the iPad and send the iPad out to the monitor. There will be some latency, but the same latency for you and your friend. Zoom U-24 sounds like a good plan. I don't own a Cube but the line level outs from the U-24 should work fine. Reading a bit about it, I'm not sure it has any extra gain above unity. If the line out doesn't work, you can always use its headphone output (like you probably do on the ipad) which will provide actual gain. Just have to be careful not to set the headphone level too hot otherwise it will distort the AUX input. If that doesn't work for some reason, a battery or USB powered mixer should do the trick. Those generally offer extra gain on the inputs and the outputs. Yeah, that ought to do it. Notice how thin they tend to be though; definitely worth having a few spares to hand. Oh almost certainly! But if your iPad can compete on its own, then you can be certain that the U-24 will. Thanks to all you guys for supporting me! 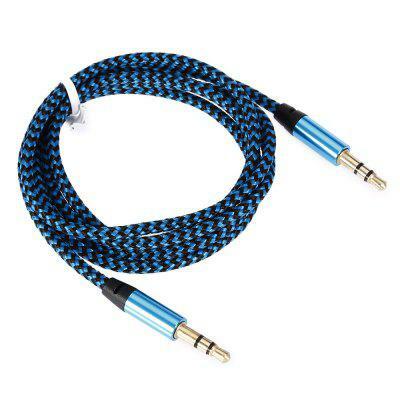 While I have a guitar with preamp that I can connect using a TRS cable, sometimes people who want to play with me do not have a preamp (most Ukuleles do not), so I'd like to buy a small clip-on microphone like this: https://www.aliexpress.com/item/1pc-Piezo-Microphone-Pickup-For-Acoustic-Guitar-Violin-Mandolin-Ukulele-New/32851978660.html - would this easily work with the Zoom U-44? PS: I also bought Audiobus. Do you really need a iPad for this @josh83 ? I think a small mixer with a looper pedal might be better in you case. Harder to break and less tempting to steal.